Designed for players who value speed and technical precision, adizero is all about light, cool gear that won't slow you down. This Adidas men's tennis t-shirt is made with a ventilated climacool build that keeps you dry and cool from first serve to match point. Designed for players who value speed and technical precision, adizero is all about light, cool gear that won&apos;t slow you down. 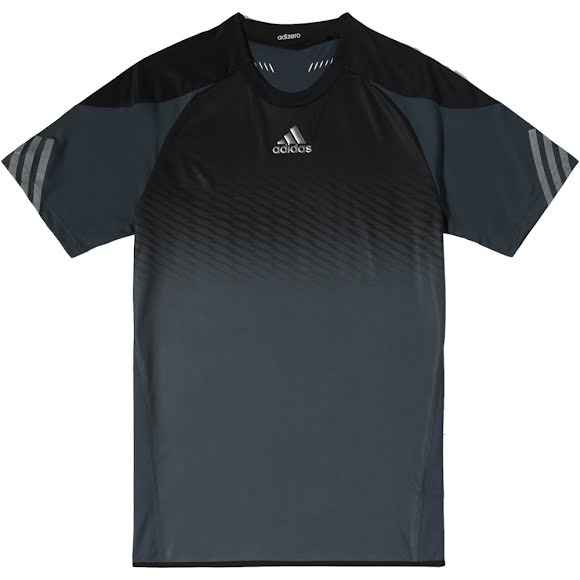 This Adidas men&apos;s tennis t-shirt is made with a ventilated climacool build that keeps you dry and cool from first serve to match point.